FabLab CEPT is 1st Makerspace in Gujarat, and 2nd FabLab in India, founded in 2014. FabLab CEPT is located in Architecture and Design campus of CEPT University, such as fablab Barcelona at IAAC. FabLab CEPT aims to enable everyone to build their ideas. The space provides access to skilled mentors and peers, tools and Learning experiences that allow you to innovate. It is one of the 7 workshops at CEPT University. Established in collaboration with Motwani Jadeja Family Foundation (MJFF) in Jan 2014, it is a maker space for technological experimentation & innovation for CEPT affiliates, makers, researchers & community of creative thinkers. CEPT University hosts this space based on its 50 years heritage of fostering creativity. FabLab is the educational outreach component of MIT, Center for Bits & Atoms, an extension of its research into digital fabrication. It means connecting to a global community of researchers, makers and innovators. This knowledge sharing network that spans 30 countries and 24 time zones and standardizes the tools and processes to build a global laboratory for research & invention. The ability to create or innovate a within us all. We believe there should be a place where people can explore their ideas and create something which is helpful to their communities. approaches. With the desire to build comes the need to expand out thinking about possibilities and The Fablab makes an effort to create such opportunities formally at CEPT and informally through Events and Workshops. We believe in the power of the community. Where encouragement and timely input from another person can lead to your breakthrough. Peer-groups,Co-working & Co-learning spaces are the fastest growing activities around the world. Fablab CEPT was funded by Asha Jadeja from Motwani Jadeja Family Fosndation(MJEF) in year 2014. 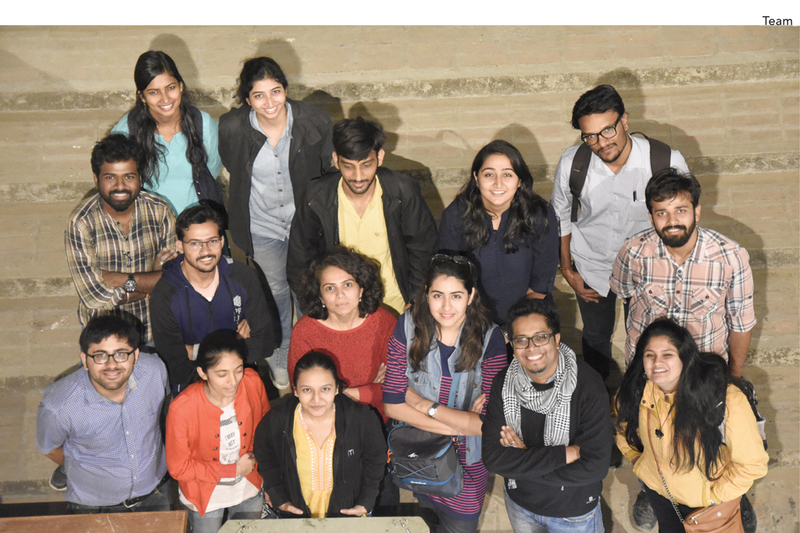 The Idea behind establishing Fablab at CEPT University was to put Ahmedabad on the global design & technology map by enabling world class facility on digital fabrication. The purpose of Fablab CEPT is to promote curiosity, Learning, innovation and entrepreneurial spirit within the wider Ahmedabad communities by providing them tools, equipment's, space and support.